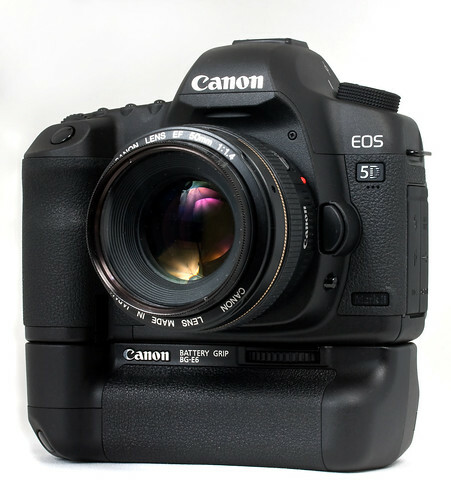 Seeing the 5D mkII has been out for over two years this is less of a review and more of a testimonial. When this camera was released I had very little interest in video or film making. What fired me up then was the 5D mkII's low light ability and its more than 20 megapixel, full-frame sensor. I couldn't really afford it but I needed it really bad ... well, I wanted it enough to plonk down my credit card. Two years later I can't remember the financial pain the 5D mkII caused me but I am still in awe of this camera. Unfortunately, for the first time ever, this puts me in the position where I cannot blame my camera's short comings for my failures - I no longer have any technical excuses. This thing will shoot in the dark and the files it makes are big and beautiful. This camera is, for me, a landmark camera. Back in 1999 when I got my first decent digital camera (2.3 gigapixel Olympus compact for $800+) I had a similar experience. Suddenly my eyes were open to the possibilities and I ran around shooting everything with the enthusiasm of a total newbie. The 5D mkII had much the same effect on me. Between my first Olympus 2000z and the 5D mkII everything else had been an evolutionary step. Every couple of years I got a new camera and each was slightly better than the one it replaced. Prior to the 5D mkII my main squeeze was the 40D. The 5D mkII looked much like the 40D and I was pretty happy with APS-C sensors and their lenses. That was until I had the 5D mkII in my hands. The difference when you look into the viewfinder of a full frame camera compared to a crop-factor one is unbelievable. Everything is big and bright. Instead of feeling like you're squinting down a tunnel suddenly you're having to consider the edges of your frame much more carefully. Just not having to do math when considering lens focal lengths was a blessing. Those highly anticipated low-light capabilities knocked my socks off. With the 40D I'd go to 400 ISO at a push; 800 if I was desperate and then I'd have to spend times messing around with Neat Image to clean everything up. With the 5D 320 ISO is now my default setting and even at 3200 I know I'll be able to get something decent with only a few tweaks of Lightroom's native noise reduction sliders. And who really needs 21 megapixel images? It turns out I do: I can shoot anticipating that I will crop hard in post and I can still get a decent sized print out of the file. These were all anticipated benefits - these were the reasons why I loaded up my credit card in the first place. What took me by surprise was the discovery of the new challenge of the moving image. I started out almost by accident. I'd seen Reverie and I heard that real film makers were getting excited about the camera I already owned so why shouldn't I give video a try? That's how it starts. You think that you have this piece of equipment that is capable of producing amazing HD video; you know how to tell a story in a single frame already so how hard can video be? Framing a single shot is similar but nothing like framing a video clip. Suddenly everything doesn't need to be in the frame the moment you press that button: things can move into and out of the frame and the frame itself can move through the scene. For an old photog it can be mind blowing and overwhelming simultaneously. And then there's all the new considerations and gear. Your old tripod with a ball head will work unless you want to move the camera while filming, and once you work out it's possible you want to move the camera all the time. Sound? 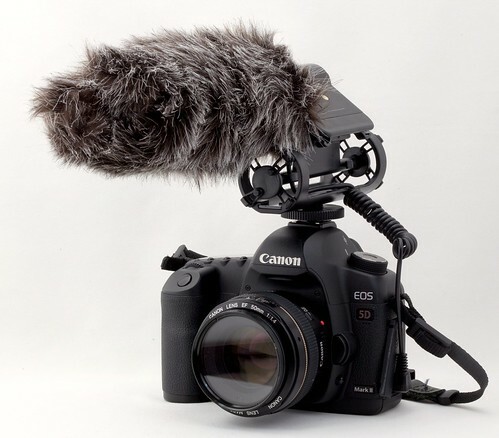 Who knew there was so much to learn about microphones and recording devices and syncing sound to video in post. Did I mention post? If I spend 20 minutes editing a still in Lightroom or PhotoShop it's a long time. Twenty minutes editing video is nothing. You think sifting through a few hundred stills from a day's shoot is time consuming start trying to log a day's worth of video clips. Editing video is nothing like editing stills. Time and motion in a still is conveyed completely differently than it is in video. The idea of tracks in video editing is like layers in still photography but the idea of a time line is unlike anything in still photography. I like a challenge. I like learning new things both creative and technical. The 5D mkII in both still and movie modes gives that to me. It's more camera than I deserve and it never disappoints me. It's not cheap but considering what you get for your money it's amazing value. Two years later the rumor mills are buzzing with anticipation for a mkIII. The video guys want a better UI, bit rates and focusing. The still guys want even more megapixels and to be able to shoot with even less light. After two years I'm still getting to grips with the mkII. For the first time ever I have a camera that can do everything I could possibly want and more. The 5D mkII still amazes me.